A 39-year-old career criminal who got lucky when the manager of Boystown's 7-Eleven store failed to show up for a shoplifting court date is back in jail. Darnell Dunbar, currently on parole for robbery, was arrested Tuesday morning in Uptown after a man flagged down police and told them that Dunbar had stolen his Samsung tablet from a table in a nearby restaurant. Dunbar's bond is set at $3,000. As CWB reported last December, Dunbar's Cook County Criminal Court record has more than 60 entries under eight names and seven birthdates. He has been in and out of prison for robbery (twice), narcotics (twice), and shoplifting (five times) since 2001. 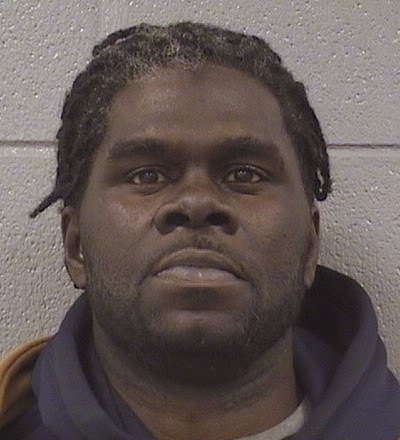 Dunbar was arrested for shoplifting at a convenience store on the corner of Roscoe and Halsted on December 12. But, charges were dropped when the store failed to show up in court. 7-Eleven management has claimed that they were given the wrong court date.